Could someone point me in the right direction to solve this issue ? I’m not sure if anyone has figured this out yet, I think you’d need to authenticate that request. but I started from scratch with a public github repo and was able to deploy http://178.128.197.220/. 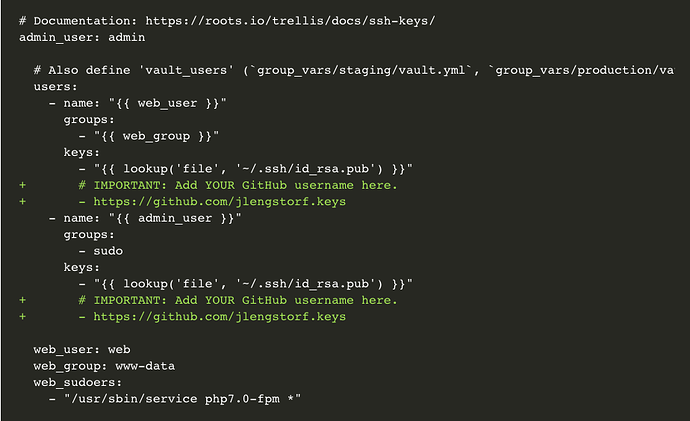 However, it seems like bootstrap isn’t active but I guess I’ ll make another post in sage for that and not trellis. On a side note, I would love to know how to proceed to deploy with a bitbucket private repo, if anyone knows how to do it? This is the same URL the OP tried and it requires authentication. Have you figured out how to use this with Trellis? I reference a local file as suggested and it works fine with Trellis. and init it as a bitbucket private repo and try to deploy on digitalocean. My question is : how am I suppose to write in users.yml my url to bitbucket account keys ? I deployed successfully with a repo on github and a url pointing to my github account url key but I’m unsuccessful with bitbucket. @Tanuki Ignore the GitHub vs BitBucket part of things for keys. 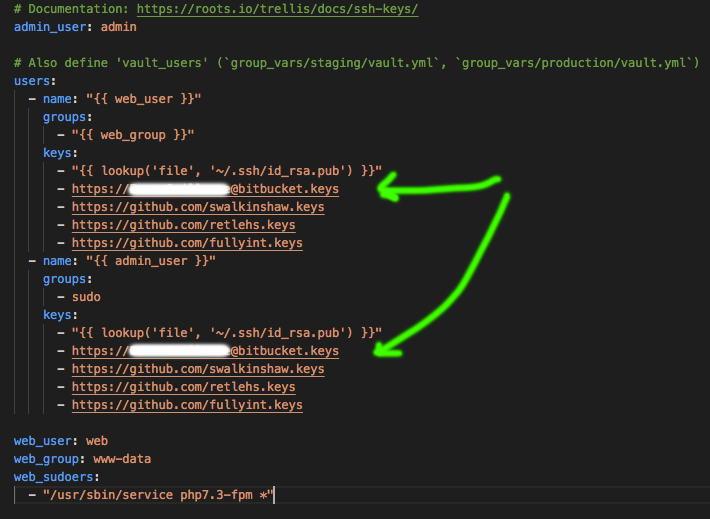 Think of https://github.com/username.keys as just a repository of your public SSH keys. 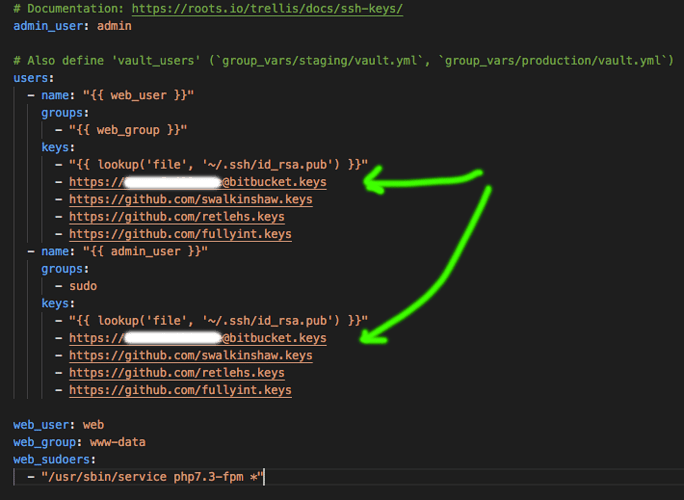 Use https://github.com/username.keys, where username is a GH account that has your public SSH key. This would be the same public key on your BitBucket account. Allright ! Thank you @benword it’s working ! Not sure to understand the reason behind having to use github and not being able to do it only with a bitbucket account but at least it’s working and I can continue on my learning journey.